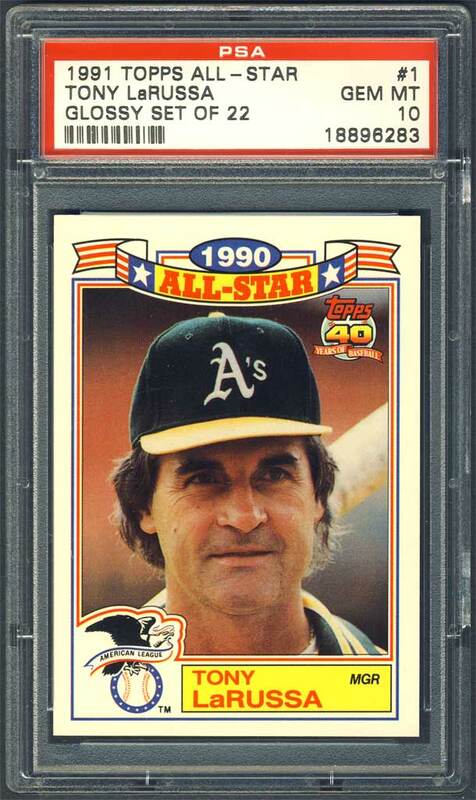 Comments: In July, 2007 I won a PSA 10 1983 Topps card of LaRussa on eBay. 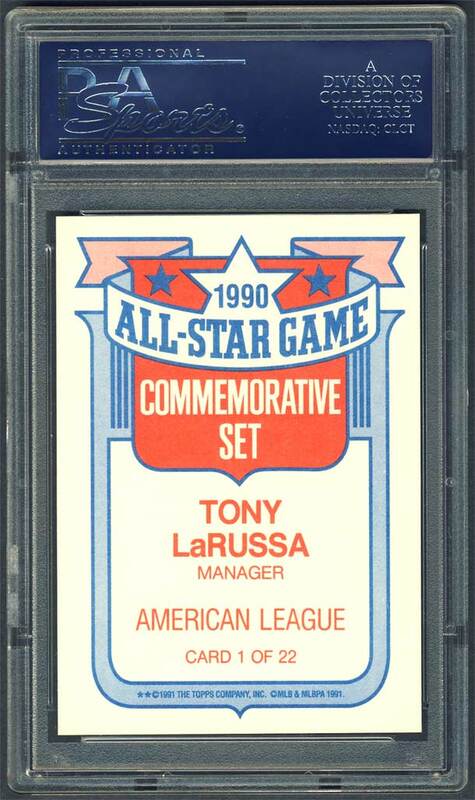 I thought Tony looked a little drowsy on the card so I started looking for another portrait that I liked more. 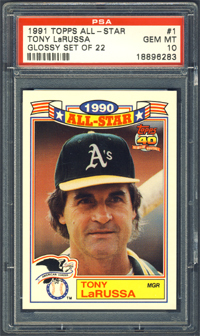 In July, 2009 I learned of the 1991 Topps All-Star Glossy Set and picked up a raw example of LaRussa on eBay for grading - it was the perfect portrait. The card was submitted to PSA but only got a NM-MT 8 rating. So, in February 2011 I purchased five complete Glossy sets of 22 cards each for $15. 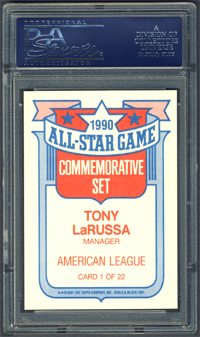 I picked out the nicest LaRussa and submitted it to PSA. On May 19, 2011 I got my GEM MT card back - score!